A Highway Safety Countermeasure Guide For State Highway Safety Offices, 8th Edition, 2015, p. 5-14. The objective of this study was provide an overview of the demographic characteristics of adult motorcycle riders with alcohol-related hospitalizations. The study was conducted at Kaohsiung Chang Gung Memorial Hospital, a 2400-bed facility and level I regional trauma center that provides care to trauma patients primarily from the southern region of Taiwan. Motorcycle riders who consumed alcohol presented different characteristics and bodily injury patterns relative to sober patients, suggesting the importance of helmet use to decrease head injuries in alcohol-intoxicated riders. The survey found that 5.6% of motorcycle riders on weekend nights had BACs of .08 or above, as compared to 2.3% of passenger vehicle drivers. This study demonstrates some changes in riding behavior in response to alcohol consumption that may be construed as impairment relative to standard performance and the self-assessment of riders. Most of the impairing effects on riding performance were evident at the per se alcohol limit of BAC .08. However, some of these same impairing effects were also evident in the lower BAC .05 condition. 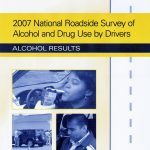 The National Highway Traffic Safety Administration sponsored a project (DOT HS 810 762) to investigate alternative methodological approaches for determining: (1) the relative risk of alcohol impaired motorcycle riders being involved in a crash and, (2) rider impairment at different BAC levels. The results of this project are reported in two volumes. 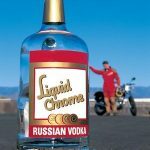 This is Volume II, the literature review which discusses past research on impaired motorcycle operation, past research methodologies used to understand alcohol’s effects on human performance, and methodologies used to measure exposure in populations-at-risk. An appendix contains detailed descriptions of documents referenced in the report. This report (DOT HS 810 761) summarizes the project findings; including a detailed account of information discussed at an expert panel workshop convened for this project (experts were provided the literature review). Among the topics discussed at the workshop were the advantages, disadvantages, scientific validity, and costs related to each alternative methodology. 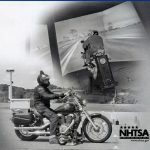 This report examined trends and rates of motorcycle riders (motorcyclists) killed in motor vehicle crashes during the ten year period 1990-1999 and the research notes compared the trends and rates in the report with the 2000 and 2001 data. This research note focuses in detail on the problem of alcohol involvement in fatal motorcycle crashes based on who are involved, where and when the crashes occur and other crash characteristics. To identify effective prevention and intervention approaches, focus groups across the United States. The findings indicate that (1) riders often discourage their peers from riding after drinking, but a culturally reinforced respect for rider freedom and individual responsibility set boundaries for peer actions; (2) rider concern for the safety and security of the motorcycle nearly always overshadows concern for individual safety and contributes to drinking and riding; and (3) motorcycle impoundment and court-ordered payment of costs for vehicle storage, alcohol treatment programs, and other costs are considered persuasive countermeasures. What happens when friends let friends ride drunk. Magazine staff were plied with liquor and then put on motorcycles. From the April 1999 issue of Motorcycle Cruiser Magazine, Posted 2009.